The most frequent comment that guests leave on the on the check out sheet is that you feel like your family at Nicuesa. The laid back atmosphere combined with highly attentive service makes Nicuesa a special place. 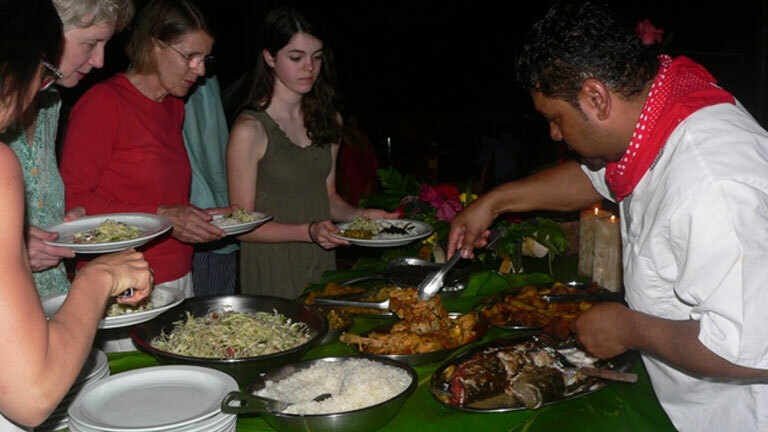 The intermingling of guests and staff â€" be it sitting down for meals with locals, fishing off the pier with Tomas (a non-english speaker that communicates just fine with fellow fishermen), or traipsing through the jungle in search of creepy crawlies with Jonathan â€" gives visitors a more authentic impression of Costa Rica and its world renowned friendly citizens. 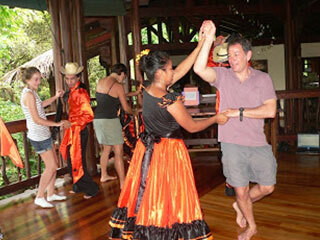 Activities planned throughout the year offer an experience of Costa Rican traditions and local culture. 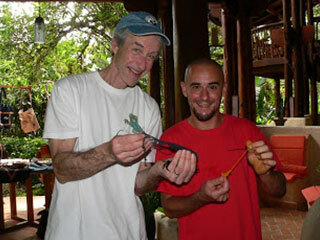 you can see how one may feel like a Costa Rica home is being opened up to them. Unplanned happenings throughout the day also make guests feel more like family than visitors. 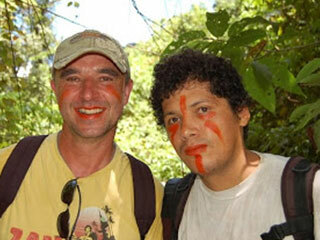 For example experimenting with achiote (a natural red dye) on Jonathanâ€™s infamous Edible Landscaping Tour or learning tropical dances like salsa and meringue after dinner. Guests always leave with a smile and stay in touch with staff by sending pictures, packages or even returning several times.